This page explains why and how to advertise in the print and online editions of BiG Pages America. It also explains the current Best of Dixie Highway Advertising Campaign. 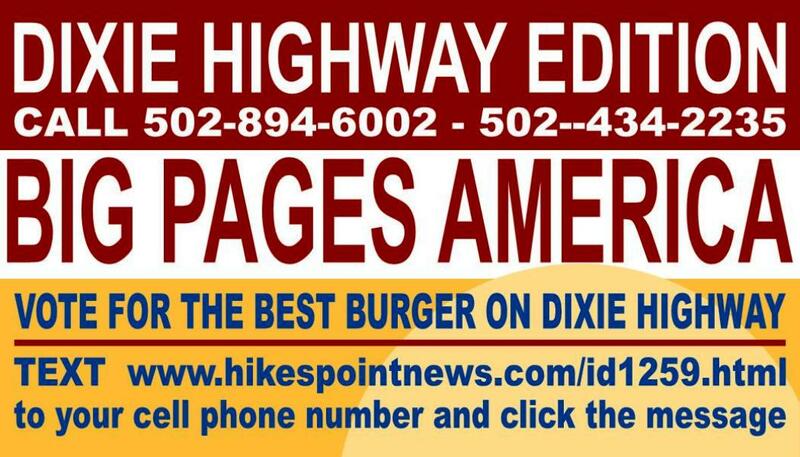 Below is a sample of how one side of the upcoming Dixie Highway Edition of Big Pages America may look. It has two sides. It is 11 inches wide and 17 inches tall. The actual advertisers in the upcoming edition are currrently being signed. We encourage you to advertise your business in this edition. When you advertise in the print edition you get free advertising in the online, digital edition of BiG Pages. Click the BiG Pages below to view the digital online edition of BiG Pages. The information of this page also applies to the soon to be published editions of the Highland/St Matthews BiG Pages and the Middletown/Jeffersontown BiG Pages. Ask your friends, family, co-workers and customers or anyone to vote for your business as the BestBbusiness on Dixie Highway. Winner and runner up winner receive a certificate they can hang in their store. People can vote as many times as they desire. Here is how it works. Each participating business wil have a poster displayed in their store asking people to vote for their business. Business owners can pass out cards, like the one displayed below, asking people to vote for their store. There are several business catagories. The purpose of this campaign is to get more customers in your store by getting more people talking about your business. 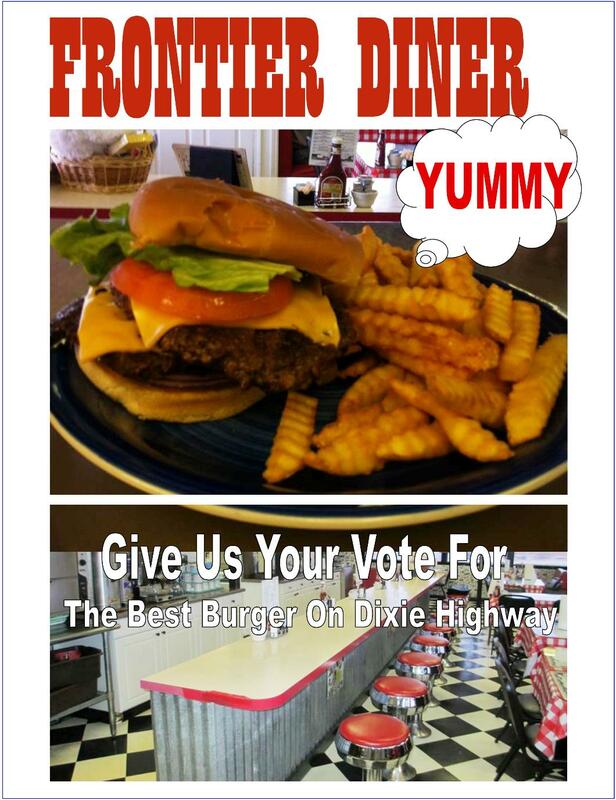 Click the red bar below that says Vote For The Best Businesses On Dixie Highway. When it opens you will see a few businesses for which you can vote. You can click yes or no. When you click your answer, your response is sent to an email address and counted as one vote. Voters can can send a link to their phone. Then, they can click that link to reach a page where they can vote as many times as they choose. This advertising campaign will attract thousands of people who could be potential customers for your business no matter where it is located in our 15 county area. Send this link to your phone as a text message and you can click it each time you would like to review this page. www.hikespointnews.com/id1022.html. The following conponents are included in all online advertising plans. We are now offering the Best of Dixie Highway advertising campaign at these fees and this campaign includes all the advertising components below. 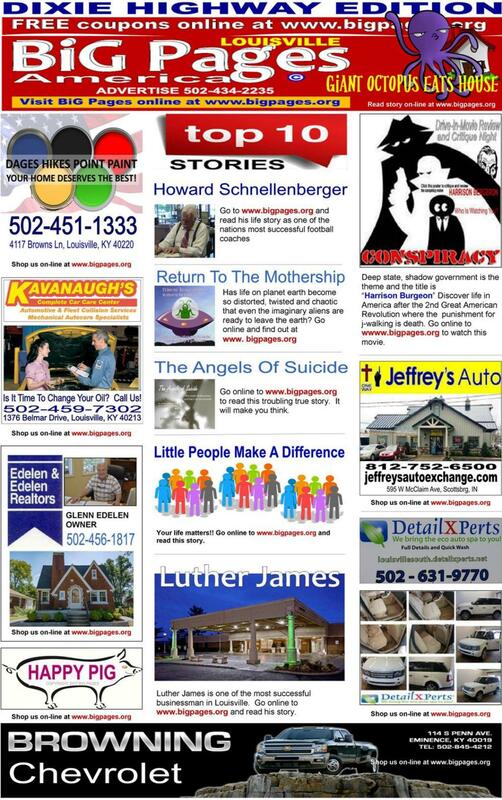 Purchase one 3 month AD in the April, May, June Edition of the Dixie Highway Edition of Big Pages America for $300.00 and Big Pages will give you 3 months of advertising in the online edition of Big Pages America for FREE...which includes the advertising components below. The regular fee for one month of advertising in the online edition of Big Pages America is $200.00. You save $600.00. BIG PAGES AMERICA IS PART OF THE HIKES POINT NEWS AMERICA PUBLISHING COMPANY (Advertisers now get 3 months of advertising in the printed BiG Pages rather than the 2 months mention in the two videos below. Advertising and media is changing. In the old days of TV everyone on your block might be watching Bonanza. Co-workers discussed the Sunday night Bonanza epidsode at work on Monday morning. Everyone new about Bonanza. In that era people assumed that everyone watched the same TV programs they watched. Everyone new about Bonanza. The choices for TV programs were smaller then. Now, viewers have unlimited choices. Today many people can not tell you what shows are playing on TV. Why? Because many are watching content and programs on their phones, computers, laptops and ipads. You may live on a street with 20 houses. But, the people in each of these house are watching or viewing different content and programs on their electronic devices. Two or three houses may be viewing content on BiG Pages while the rest of the families on the street have never heard about BiG Pages. Since neighbors do not talk with each other anymore, fewer people are talking about the TV shows they watch with their co-workers. However, the number of people who visit BiG Pages.Org daily more than justifies our sponoring and advertising fees. All they have to do to shop your store is "click" text, phone, email or visit your store. One last thing. People are attracted to personalities and praticular personality driven websites. Thousands of people visit BiG Pages . Org to find out what crazy story John Rodgers has written or what people are saying about him. His ideas and stories drive people to BiG Pages in big numbers. How Does BiG Pages America Advertising Work? Client's advertisements are placed on the top rated pages in the magazine and other pages too. This assures that as many viewers as possible will see our clients advertisements. Clients advertisemens can be posted in several different formats. For exampple, a banner Ad on one page...a display Ad on another page..a video Ad on another page etc. Stories about the client appear on different pages. For example the same client story may appear in the Business section, also in the People section, the My Hometown section and the My Business section etc. Clients Ads may appear on the same page as the most read stories in the magazine. Client Ads may appear in the Deal of The Day section and in Ava's Kids Page if the business attracts children. Client coupons can be posted in the Coupon section. Why Do People Visit BiG Pages America? Other people visit the online magazine to watch cartoons on Ava's Kid Pages. Grandparents use the Ava's KIds GRAND PARENTS ACTIVIIES BOOK to entertain their grandchildren. There are over 100 activities and projects grandparents can complete with their grandchildren. Many come to the magazine to shop in the TOWN SQUARE. New businesses open everyday in the TOWN SQUARE. When a viewer clicks on a business in the TOWN SQUARE, they will discover that business has a special coupon or a Deal of the Day to offer them. It is always a surprise. Shoppers can leave comments to the business owners in the TOWN SQUARE who offer Deals Of The Day. Shopping in the Town Square of www.BigPages.org is more warm and personal. People who want to, can become better acquainted. Employees at the different companies enjoying visiting the MY Business page and reading about their co-workers or their bosses. It is a matter of pride. Lots of workers visit the Movie Section during their 15 minute work break to watch Barney and Andy from Mayberry or another quick show. Lots of workers and moms around the house enjoy visiting the Music Page and listening to some of the music from the past. People come to www.bigpages.org because it makes them feel they are a part of a community of people they can call friends. It is a comfortable and safe place to be. Because there is so much to see and do on www.bigpages.or, visits range from 5 to 30 minutes. People come to www.bigpages.org for the content and interaction with one another. How Do People Find Out About BiG Pages America? BIG PAGES AMERICA ADVERTISING IS "ALIVE". Everything I am about to tell you is true. Our competitors are unaware of our advertising skills and talents and especially of the power of our "Alive Advertising". It requires a committed team of graphic designers, copy writers and photographic professionals and IT people to make "Alive Advertising" work. I am going to share with you how our "Alive Advertising" works at the risk of letting our competitors know some of our secrets. We always know who is visiting our pages (ip addresses)in our magazine and we are always changing our pages hourly to grab the attention of our viewers and readers. Our magazine almost lives and breathes. Our IT people are like cattle ranchers. They keep herding viewers in the direction of an advertisement we want them to see. For example, we might publish a huge banner Ad on the front page of the magazine for all viewers to see. When the viewer clicks the Town Square section they see the same banner Ad they first saw on the home page as a display Ad. When the viewer clicks My Business, they will see a photo of the business owner, along with a photo of the business that they first saw on the home page. As the viewer moves from page to page through the magazine, they will see the same business advertised in different formats on the many different pages viewed. When the viewer gets to the Deals of The Day page, they see the same Ad for the same original business they first viewed on the home page. The Deals of The Day page sends the viewer to the Coupon Page where the viewer will have the opportunity to download a coupon of the business they first viewed on the home page. Our viewers read the www.bigpages.org magazine for several minutes because of our Story Section. We have a strong following of people who visit the magazine several times a day to read different stories by John Rodgers. Ads are displayed with each story. The stories that are being read at any given time infer if our reading audience has a higher number of males or females and also can help indicate the culture, and economic background of our viewers. If you are an advertisier and your numbers are dragging we will publish a new story that generates interest from people (ip address history) who would also be interested in your kind of business. This is called Adverherding. Our IT folks herd readers to your Ads by placing your Ads by a new story we know a certain type of customer (ip address) enjoys. Think of your advertising as being on a radio volume dial. We can turn up the volume on your Ad if we think you are not being heard or seen enough. We write human interest stories and stock these in our story vault to be used when our advertisers need to have the volume turned up on their advertising. This is "Alive "Advertising". Very few if any media have the skills, experience or the financial commitment to do this. www.bigpages.org is always being changed to herd more viewers and readers to your Ads. That's what makes our advertising Alive!. Alive Advertising does not cost extra. It is included in our one year advertising package. Scholastically, John was an under-performing high school student. But, he excelled academically in college and was very popular with the other students. He was voted President of his Freshman, Sophomore and Junior Classes. He received the Who's Who in America award and was recognized as one of the Outstanding Young Men In America by the National Jaycees. 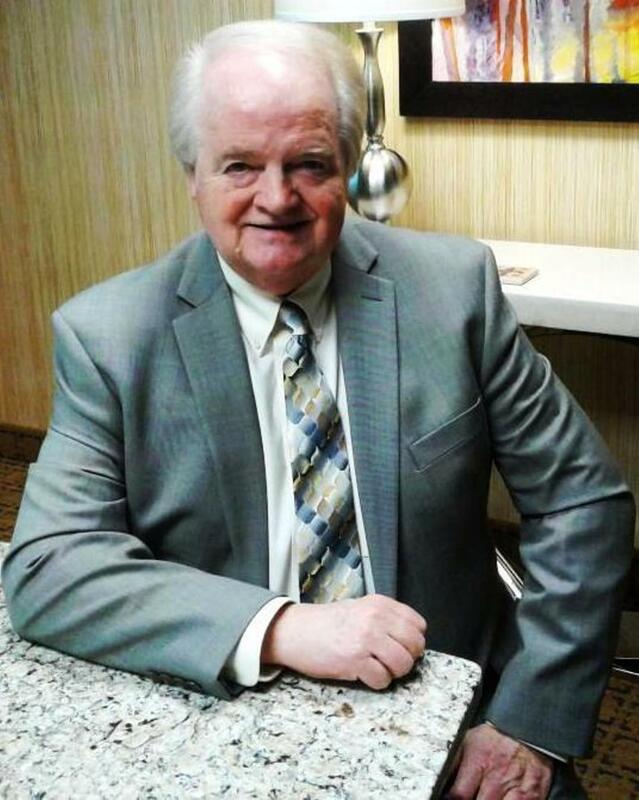 He sold Bibles door to door in the south and was the top salesman and sales recruiter for four consecutive summers. But, as John says, "that is ancient history". In 1980 John received his Master of Divinity degree from the Louisville Presbyterian Theological Seminary. Most of the churches he served were located in Louisville, Kentucky. One of his last churches was in the Highlands in Louisville, KY. John loves people and admires and draws strength from small business owners. John says, "they have more guts, fight and get up and go than any group of people I have every known. When small business people make up their minds to do something, they are unstoppable". John entered business ( on the side) as a young minister in order to help pay for his wife to attend the University of Louisville medical school. She became a doctor and practices medicine in Brandenburg. They parted ways as friends after 18 years of marriage and 2 wonderful daughters. They now have 10 grandchildren. John was married to his second wife for 22 years. She died from cancer three years ago. After he retired from business John worked for Kroger in the frozen food section earning $6.35 an hour. He loved it but it was too confining for him. After a year and a half he decided to start a new hobby... publishing Hikes Point News. The mission of the magazine was to promote the Hikes Point community. This was later expanded to promote the communities and towns in the 15 County Economic Development Area surrounding Louisville on both sides of the Ohio River. Now John is encouraging people all across Kentucky to become "Community Partners". John says, "every action taken in a community does not have to be formal or official". "I encourage small business owners, groups and individuals to band together and tackle the issues and concerns of their area. Citizens do not always need the help of local, state or the federal government to fix their problems. Local people are better equipped to know how to solve the challenges in their community. When local people see themselves as "Community Partners", they realize they can get more things done partnering together with one another. The Community Partners Program builds stronger social entrepreneurs or people who are willing to take risks for their community." License BiG Pages in your hometown or area and earn up to $15,000 or more per issue from the sale of Advertisements in BiG Pages. We supply the content and design the Ads. All you do is sell the Ads. You can own the License for BiG Pages in your area as an absentee owner and have a sales person gather your sales. Or, you can own the License for BiG Pages in your area and operate the business. BiG Pages is unique. Print ads are married to digital online ads. So your print advertisers get extensive online advertising for FREE. Call now to learn more about owning the License to publish BiG Pages in your area. 502-434-2235. BPA - USA will pay you $1,000.00 for each person you refer to BPA - USA that agrees to be the publisher of BiG Pages in their town, city or area and signs a contract to be a license publisher and pays the fee for the license. You will receive your $1,000.00 referral fee after the contract is signed and the license fee is paid. To qualify text your referrals to 502-434-2235. Or mail your referrals to Hanover Place, 4500 Bowling Blvd. Suite 100, Louisville, KY 40220. This is a nationwide search for publishers of BiG Pages. BPA - USA plans to publish BiG Pages in every town, city or community that wants a BiG Pages and has a qualified publisher who wants to publish BiG Pages. You are not limited to the number of referrals you can send. Church groups, schools and charities can fund raise by referring people to BPA - USA. 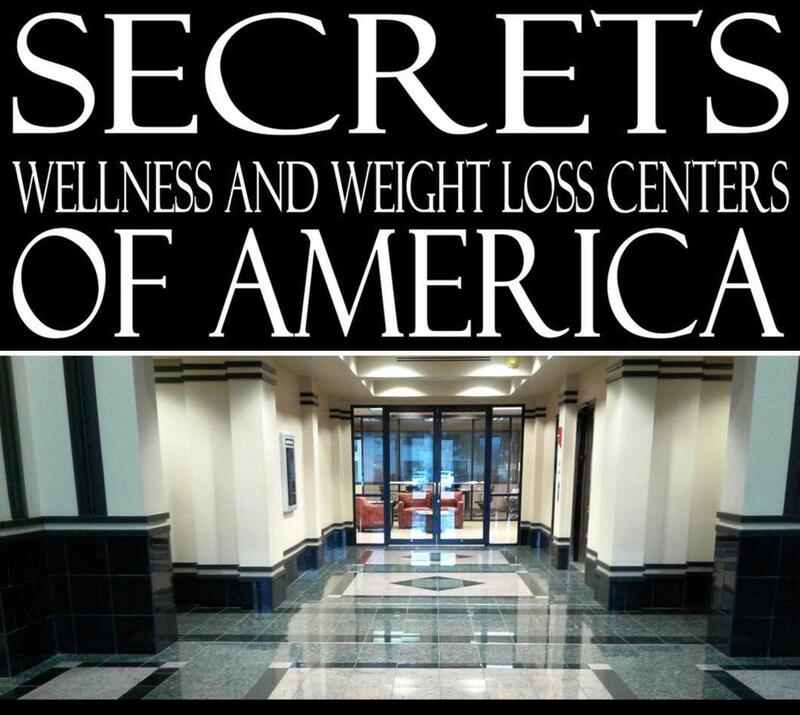 People all across America are looking for an opportunity like BiG Pages. You can help them discover BiG Pages by picking up the phone and calling them, texting them or emailing them to tell them about a business career with BiG Pages. To speak with our nationwide recruiter call 502-434-2235. This is the aurthorized and official advertiising FEE PAGE for Hikes Point News.com, BiG Pages . Org and Red Door Dining.org. Any fee listing on any other pages, etc are old fees that have not been updated and those fees no longer apply or are applicable. Fees may change without notice at anytime.